Higher Power. Better Reliability. Unrivaled Performance. 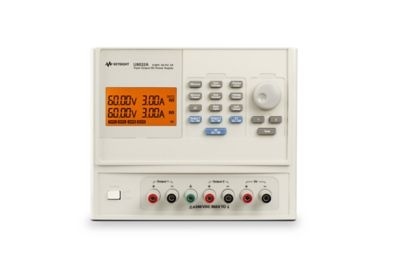 Keysight now extends its range of basic DC power supplies to offer 375 watt power range, making it an ideal power source alternative in electronics manufacturing, research and development as well as the education sector. The U8032A, basic DC power supply, is a manual triple-output power supply with sequencing capability. With this function, users can generate output sequences with minimal programming skills. Each power supply is also built with excellent load regulation and clean output noise for continued stability. With these and many other features, you get a solid and reliable triple-output power supply at an unsurpassed performance.